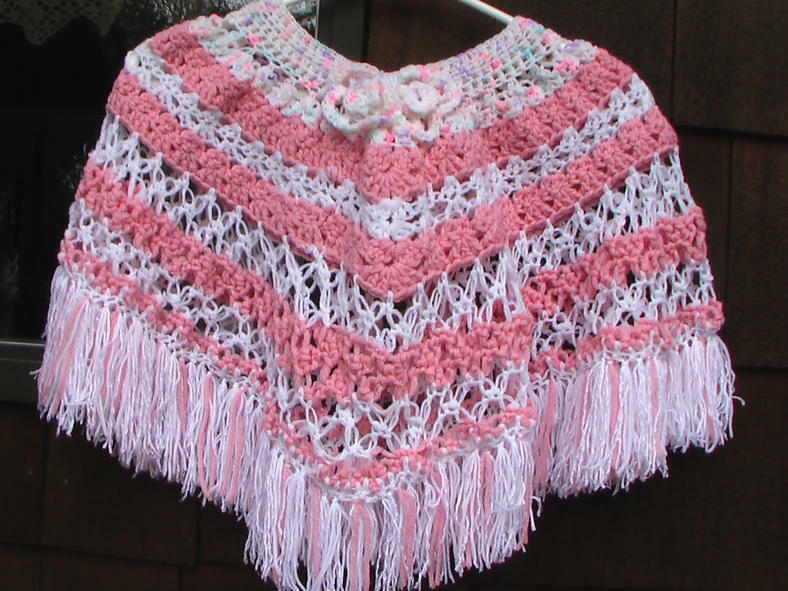 Great poncho!!!!! I love the colors!!!!! Definitely will take the NY chill off the person wearing it. Thanks for sharing. OH, that is sooooo cute!! I just love "PINK"!! Very pretty, I love the lacy look of it. I love the pattern that you use. Job well done. Sooo cute! love the color.. 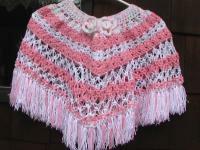 I love pink & white........ & I love your poncho too. What a great poncho! Very "pretty in pink" ! Oooh very cute. Pink is my favorite color so maybe I'm a little biased haha. Very nice job!